Does Technology Make It Better? Does technology actually make it better? This simple question is the first I try to answer when approached about developing a digital health product. It’s one that is asked surprisingly infrequently when launching digital health products, yet essential for delivery of a winning product-market fit. Many physicians, healthcare consultants, and stakeholders are pursuing digital medicine or digital services. It seems as though the temptation goes something like this: “I do this kind of business and everyone is going digital so now it’s time for me to do that too.” The reality is that yes, you absolutely need to be thinking about how to leverage digital technologies in your work or business, but just like all of your other mission critical activities, you need to do so in a way that improves your service or offering. The media industry’s move to digital can give us some ideas of how to parse what might end up a winner or loser in digital health. As internet media consumption exploded over the last decade we saw many publications move to offer their content online. So called “digital strategy” in many cases turned out to be a lack of digital strategy. One gem was the 2014 leaked strategy innovation report from the New York Times. The report notes many failings of the Times’ initial forays into digital. Among them identified are a failure to customize content for readers, a lack of structuring data allowing it to be packaged into dynamic automated content, not updating content promotion strategy for digital, failures of payment models, and confusion about roles of existing employees in the digital realm. While these are interesting anecdotes, an underlaying fundamental cause is apparent — taking the same news stories as were printed in paper and just putting them online actually made the journalism worse. The product being consumed — the experience of reading the news just wasn’t as good digitally as it was with a paper. Of course there are advantages to a digital newspaper — cost of distribution chief among them. Perhaps the decision is even rational, but operational efficiencies do not necessarily equate to product or service improvements. The unifying theme of all the report’s suggestions is that the original web foray failed to embrace the fundamental nature of the web (interactivity, dynamic content, revisions, commenting, locational awareness) to deliver a more enjoyable and informative experience than could be achieved with paper. It’s not that digital is better than paper, it’s just that if you find your desired audience is digital (or for purposes of scale or otherwise your desired medium is digital) then you must proactively shape your product to be a digital native rather than a digital transplant. No organizational activity is immune to the transition. Just like the startups competing against them, an offering must be re-invented to succeed in the new medium. Put simply, delivery via a new medium means creation of a new product to be delivered. At a meet-up some time ago, a psychiatrist explained to me that she was interested in delivering her services via telemedicine and was looking at investing in a telemedicine solution to move her practice to the digital age. As an independent practice which had been around for some time this physician wasn’t lacking patients. In fact, she had a waiting list of patients who wanted to see her. Would a telemedicine offering let her see more patients or charge more for each visit? In this case not at all. It might have had the affect of having some patients call in for appointments rather than show up in person. This could be good or bad development and naturally depends if the time saved or administrative burden relieved out weighs the cost of communication lost from all of the non-verbal cues and clarity of voice, focus or attention that an in-person consultation brings with it. Physicians have their own set of concerns (and all of us in healthcare have moral obligations) related to quality of care. This example is offered not to suggest that digital is either good or bad, but simply that “going digital” without a willingness to fundamentally re-think the implications and ultimately re-configure the underlaying business operations is not the solution. The most innovative products often start with a focused niche, develop a competency and strategic advantage within that niche or vertical and expand from there. The Suicide Prevention Lifeline offers an extremely targeted form of telemedicine in one subspecialty, emergency psychiatry. In the same way that AirBnb started as a room renting marketplace and has expanded to a global experiences service and real estate rental brokerage, digital health startups can transform health and wellness. In healthcare, complexity of payment models and regulatory frameworks mean a strategic partner who understands the complexity of the ecosystem is existential when building and executing a digital products. In journalism, we see hyper-targeted sites such as Medium (“read, write and share”), Five Thirty Eight (“statistical analysis and hard numbers”), along with targeted newsletters such as The Transom (“a daily email newsletter for political and media insiders”) succeeding through embracing the digital fabric they are printed on. In digital health, Biem is a great example of business model and service delivery transformation in the transition from physical to digital care (disclosure, I am proud to call Biem a client). If Biem had simply “gone digital with a urology clinic” the product might have just become a telemedicine connection to an appropriate professional. Instead Biem solves the problems that make sexual health hard. 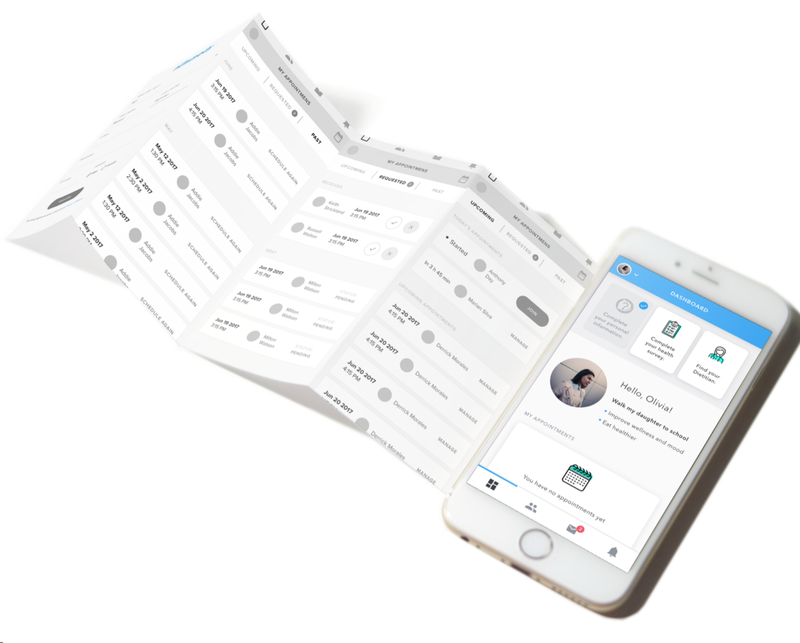 It has redefined patient intake, payments, consultation, labs, and communication with peers in ways that leverage the native advantages of digital to offer more than “medicine in an app”. Biem fundamentally changes the healthcare delivery, payment, and communications to improve health for an individual and for a society at large. At risk of this piece becoming a commercial, I’ll stop here and simply point to an explainer video here. Digital products are not separate from the businesses behind them. Digital products are the businesses. To succeed in digital health, you must embrace the inherent strengths and capabilities of technology and rethink every aspect of your service. You must innovate from the strategic competencies that made you great in the meatspace. To do so you must build a team with deep knowledge in your health domain, user experience and human centered design in digital products, and of course technical capacity.